There are few art forms as visceral and emotional as opera--and few that are as daunting for newcomers. 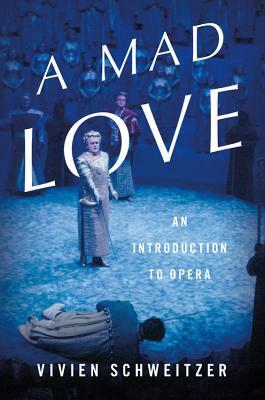 A Mad Love offers a spirited and indispensable tour of opera's eclectic past and present, beginning with Monteverdi's L'Orfeo in 1607, generally considered the first successful opera, through classics like Carmen and La Boheme, and spanning to Brokeback Mountain and The Death of Klinghoffer in recent years. Musician and critic Vivien Schweitzer acquaints readers with the genre's most important composers and some of its most influential performers, recounts its long-standing debates, and explains its essential terminology.